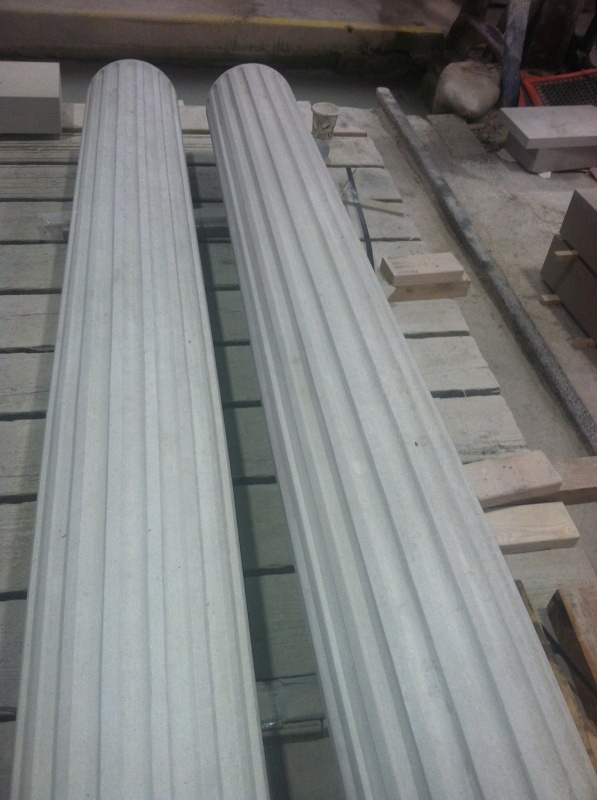 We fabricated these two fluted columns out of Indiana Limestone for a townhouse in New York City. These columns were each made in one piece on Petrillo Stone‘s column machine and then the fluting was done by hand. We take great pride in our work and it shows in each natural stone piece we create. This entry was posted in Projects on November 9, 2013 by Boom Visibility.